Programs offered - Company Brochure — All Star Sports Instruction, Inc.
Below you will find a comprehensive list of all programs All Star Sports Instruction offers. We have provided the program name, detailed description, and photos for use in your Park District's program brochures. Scroll through all programs, or use the quick navigation above to go directly to a specific sport. The All Star approach to t-ball engages all players no matter their skill level. Our system keeps players moving and learning, even while in the dugout! Players in the program will become more confident in this active class as we work on the proper mechanics of catching, throwing, fielding, base-running, and hitting. This funstructional program prepares each player for the next level, t-ball or coach-pitch leagues. A great introduction to baseball as a team sport! The focus will be on playing games, learning the rules, basic mechanics (throwing, fielding, base-running, and hitting) all while having fun. Teams are kept small so that there is no sitting while players are on the field and each player will get the opportunity to play each position. Each player will receive a team hat, jersey, and trophy. Each player must bring their own glove and water bottle to each class. Our top notch baseball coaches teach the importance of proper skills technique as well as the fundamentals of the sport. Speed and agility training, as well as in-game strategies will taught throughout the program. This funstructional program is designed to teach the game of basketball at a basic level while making sure the players stay active and engaged the entire class. Games will be played to teach the importance of each skill learned. Our foundation technique focuses on basic mechanics to build confidence, then adds larger challenges as the players progress. We work on dribbling with each hand, passing, shooting, and understanding basic offense and defense. The All Star Basketball trainers focus on individual skills and team play. Each session will begin with speed and agility drills that will enhance each player’s ability to get up and down the court quickly, generate rapid change of direction, and create explosion to the basket. These sessions cover ball handling, proper shooting technique, footwork, and defensive/offensive strategies. Competitions and game play will enable each player to focus and work on learned skills. This funstructional league is designed to prepare each player for future seasons. This is an instruction-centered league where play will be stopped to focus on certain aspects of the game. Skills such as ball handling, shooting, and passing will be focused on while the players work to understand the importance of running different offensive plays and how to counter an offensive attack with different styles of defense. Plays and strategies are taught at the appropriate age level for each comprehension and to ensure confidence and success. Each player will receive a team jersey and participation award. This girls only program will enhance basic skills such as dribbling, passing, shooting and defense, while also concentrating on teamwork and game situations. Man-to-man and zone defenses are taught, along with offensive strategies that are guaranteed to keep the players moving. The program is designed to increase overall skill level and knowledge of the game. Speed and agility drills help balance, explosiveness, and lateral/linear movements. Footwork and balance are continuously worked on since they are extremely important for each position on the field. This program focuses on: quarterback, running back, line play, and receiving. To reinforce the learned skills, small-sided games and competitions will take place. Contact is minimal and there will be no tackling. This program focuses on passing, receiving, blocking and kicking techniques. An in-depth breakdown of offensive and defensive strategies will be covered as well. Teamwork and positive play are highly stressed and our main objective is to have fun. Necessary equipment includes knee and elbow pads. Designed to teach and enhance the skills of our future stars while making it fun and eliminating the intense “win at all cost” attitude. Every player plays all positions so that they can truly learn the game from different angles. Speed and agility drills will be used during practices to help with balance, lateral and linear movements, and explosiveness from a set stance. There will be MINIMAL CONTACT and NO TACKLING during our games. Games will be played each day and preceded by an instructional practice. Games will be played 8 v. 8. Each team will have small rosters to eliminate too much sitting. Learn the game of hockey before the skates go on. This program instructs players on the proper mechanics of stick handling, puck control, passing, and shooting. Offensive and defensive strategies will also be covered. players will be kept active and engaged through instructional games and small-scale competitions. Our instructors focus on safety and rules as contact is NOT allowed. Equipment needed: please bring a water bottle, shin guards, bike helmet and any gloves to cover fingers. This fast-paced, action-packed league is great for beginners or players who have laced up the skates before! Most equipment is provided; you may bring your own stick, but the staff will have some available for each participant. All aspects of the game will be taught, including: goal tending, puck control, shooting, passing, offensive and defensive strategies. This is a funstructional league, so players will have a great time and also leave with a good sweat and skill instruction. Equipment needed: gloves (any kind that protects fingers and hands), shin guards (soccer style is acceptable), and helmet (may be a bike helmet). Players will learn the proper mechanics of stick handling, puck control, passing and shooting while they get a great workout from the speed and agility drills designed to help each player’s game. Skill instruction focuses on balance and stamina while working on in-game knowledge and mechanics. Offensive and defensive strategies will be covered as the players work on positioning. Our instructors will also focus on safety and understanding of the rules. Equipment needed: please bring a water bottle, shin guards, and caged helmet. This program gives you and your child an opportunity to bond and have fun together while learning a variety of sports. 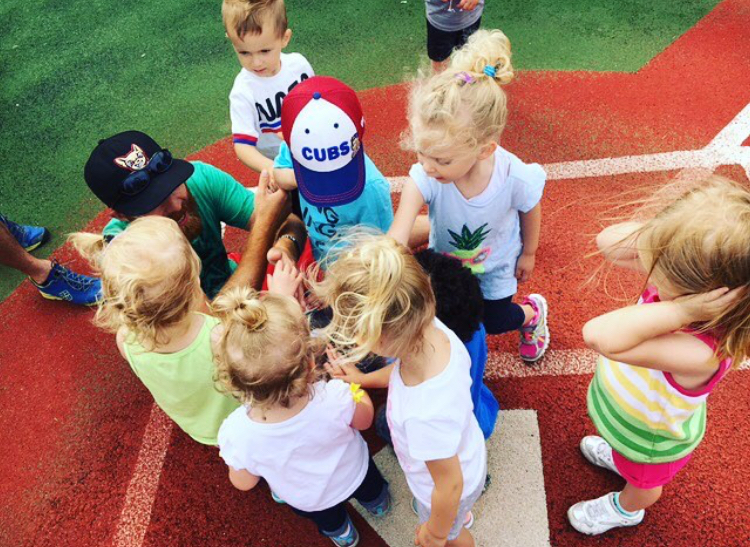 This class is fantastic for improving simple motor skills, such as: catching, throwing, batting, shooting, passing, running, and aids in hand-eye coordination development. Parents participate with their child to play soccer, basketball, hockey, t-ball, football, and more! This is a great introduction to the All Star Sports Instruction programs and staff. All equipment is provided. This program is for the all-around athlete or for a child who wants to take a shot at different sports. 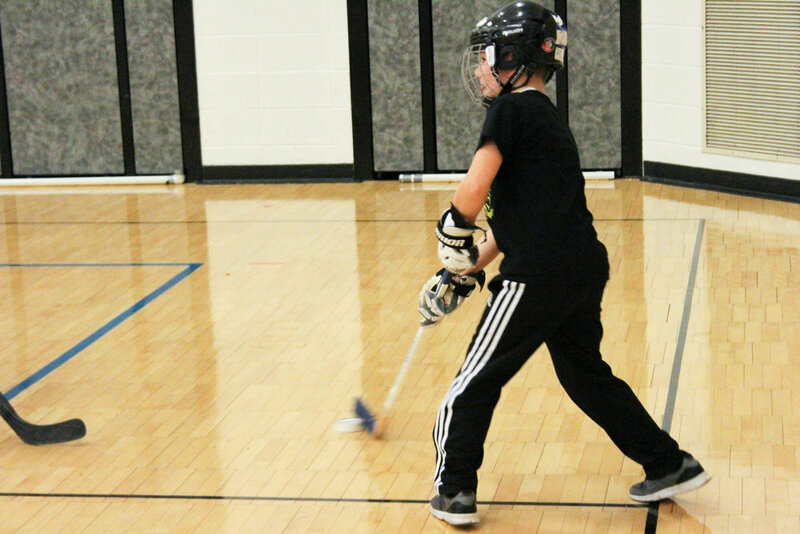 Stay active and work on balance, motor skills, and hand-eye coordination all while learning the rules of baseball, football, floor hockey, soccer, basketball, and more. Each week focuses on a new sport, learning on rules and working on mechanics of the sport while playing games that keep all participants active. Perform at the top of your game! In this course we will cover acceleration, deceleration, core training, and endurance training. This is a great way to take your skills in any sport to the next level. New runners and elite runners are welcome in this funstructional program designed to build a solid running foundation. Runners meet once a week to cover static and dynamic stretching, speed and agility work, tempo runs, and build endurance for long runs. The class will build toward the (INSERT RACE/5K HERE). At each class the instructor will hand out a weekly running schedule to be completed before the next class. Fee includes registration for the (INSERT RACE/5K HERE). This program is designed to teach the game of soccer by hiding drills in fun games and using association techniques that get on the players’ level. By engaging the players at all times, there will be no sitting and waiting. The program covers simple foot skills, dribbling, passing, shooting, basic rules, spreading the field, and more! This program keeps all players active and is a great base to prepare them for the next level of play. This funstructional league creates a fun, safe, learning environment that enables kids to experience soccer regardless if they have played before or if they are beginners. Each game is preceded by a twenty minute skills training session. Every player will receive a team jersey and a participation award. Players must bring their own soccer cleats, shin guards, and soccer ball (size 4) to all classes. Developing indoor soccer game skills and demanding quick reflexes, fast-thinking and pin-point passing, Futsal is played with a special low-bounce ball, requiring players to use their skills rather than the ball’s bounce to propel it. This fast-paced game gets kids moving like never before. Participants learn the rules of dodgeball and the strategies to beat the toughest players, including their parents, who will play on the last day. Come on out and learn the 4 D’s - dodge, dip, duck, and dive. Players will participate in a number of drills and games as they learn the complicated skill of swinging a golf club. Rules and proper game etiquette will covered, all with fun as the main focus. Basic mechanics of cradling, passing, catching, shooting, footwork and positioning will be covered and expanded upon. Game play helps each player work on face-off strategies as well as offensive and defensive strategies to help increase decision time in the fast paced game. The speed and agility aspect improves the ability to move laterally and linearly while maintaining balance, even with contact. Contact will be minimal while game situations and rules will be covered. Equipment needed: caged helmet, gloves, water bottle. Extra sticks will be on site but please bring your own. Recommended equipment: upper arm guards, slash guards and shoulder pads. Our volleyball program is designed to equip players with the essential fundamentals that are needed to succeed in this fast-paced game. Passing, setting, serving, defensive and offensive strategies are covered. Join us as we work on improving our footwork, teamwork, and over all basics to take each players’ skills to the next level. Participants need to bring knee pads.